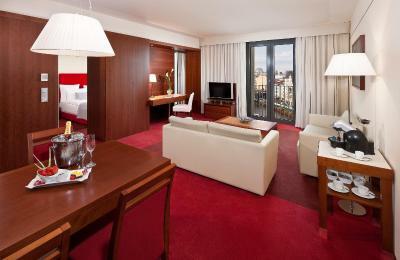 Lock in a great price for Meliá Berlin – rated 9 by recent guests! 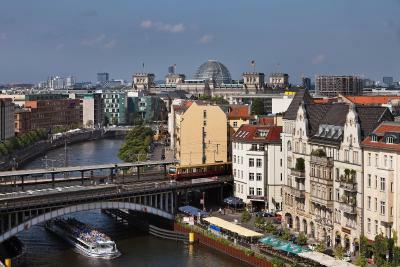 Staff very helpful on reception Good view of the River Spree from our room, also as it was my Husbands 60 th Birthday we had a bottle of complementary fizz which was very nice touch. Beds very comfy. The location was great. 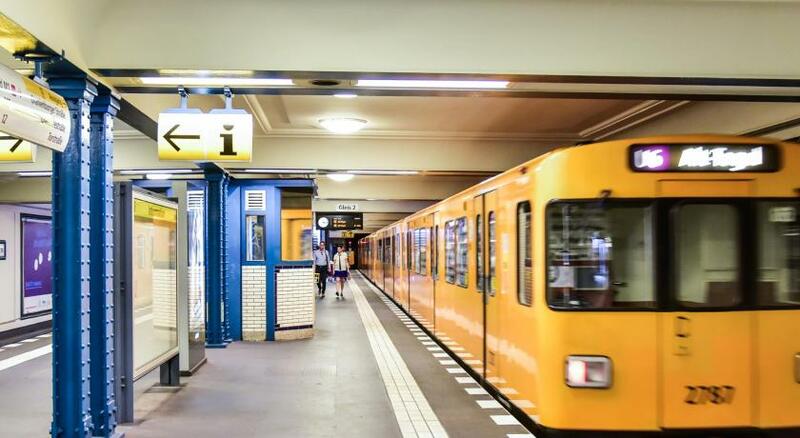 Easy to reach from the Airport via Bus and trains. 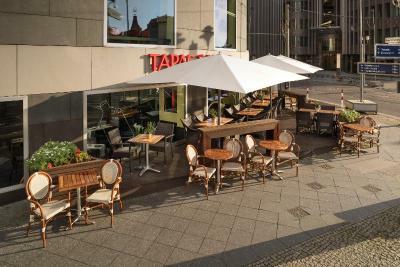 Fantastic location for exploring Berlin with very easy access to public transport, good restaurants nearby, walking distance to some major attractions and great cocktail bar in the hotel. Clean and friendly hotel. 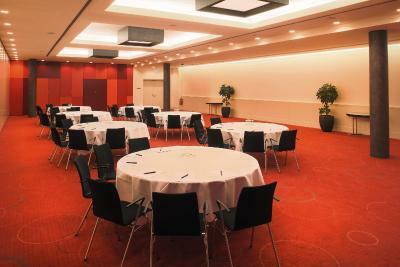 Clean and comfortable venue, friendly and helpful staff. 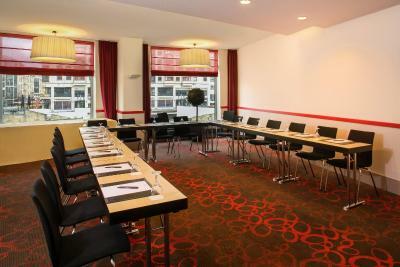 Very big, clean and comfortable rooms with all the facilities. Amazing view (from 5th floor to the river side). Great Lounge area, convenient for working. Nothing honestly. From the minute I checked in, there was no one to help carry on our luggage. The reception was mean and she doesn’t know how to communicate with customers. Room was pretty hot and I called them many times to fix the AC and they didn’t. There was not a coffee machine and it is weird for a 5 stars hotel not to have a coffee machine. I ordered ice and they charged me 5 euros!!! I traveled the world and this is the first time a hotel charge me for ice. They were poor dealing with us and honestly only two persons were good in the hotel, the concierge guy and the Spanish guy on the bar. Perfect location. Nice room. Staff was very kind with the special date with letter and a nice treat. 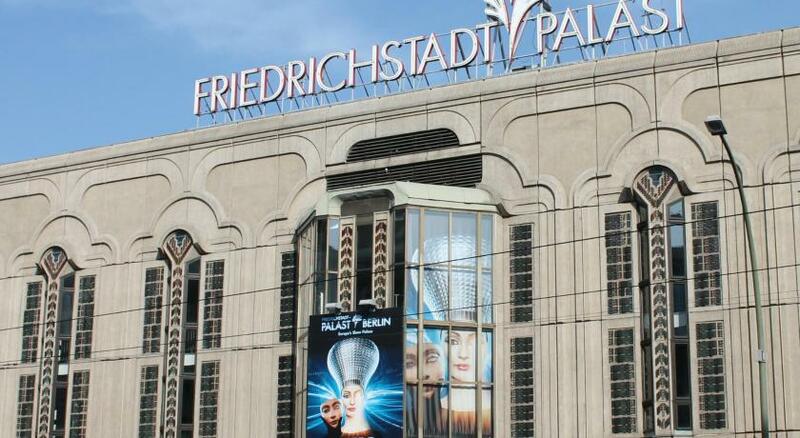 We would definitely stay there again next time! Location. Initially room did not provide hot water kettle, but when ask staff brought over. 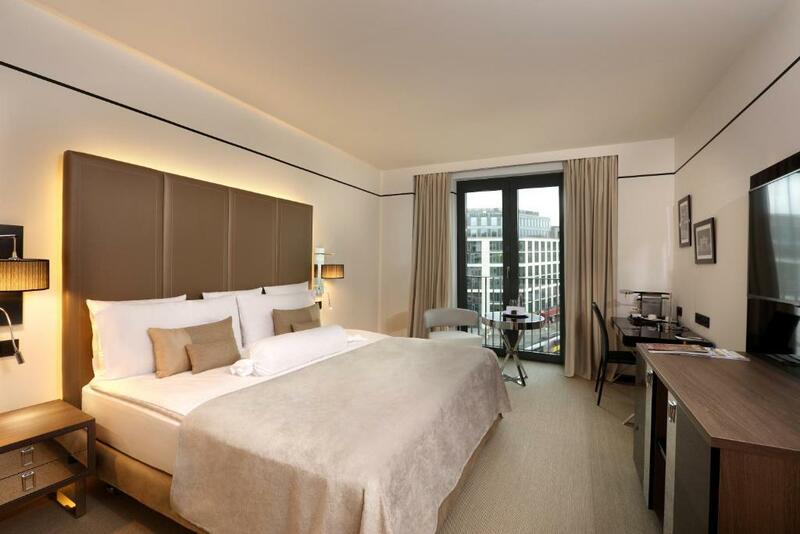 Meliá Berlin This rating is a reflection of how the property compares to the industry standard when it comes to price, facilities and services available. It's based on a self-evaluation by the property. Use this rating to help choose your stay! 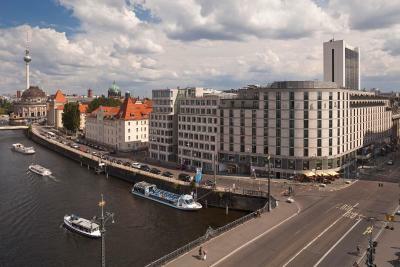 Offering an exclusive Executive club and spacious rooms, this stylish hotel stands beside the River Spree on Berlin’s Friedrichstraße shopping street. 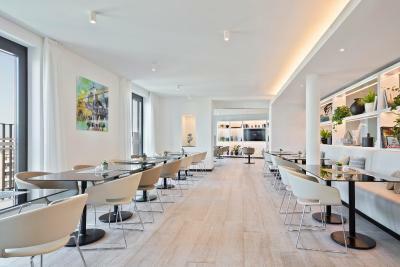 Free and unlimited high-speed WiFi is featured throughout the property. 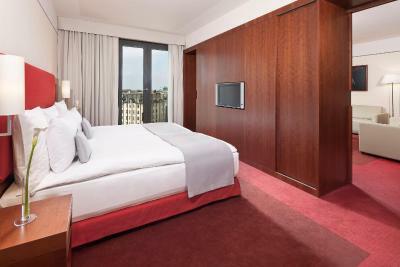 The bright rooms and suites at the nonsmoking Meliá Berlin include a flat-screen TV, soundproofed windows, and a bathroom with heated floors. 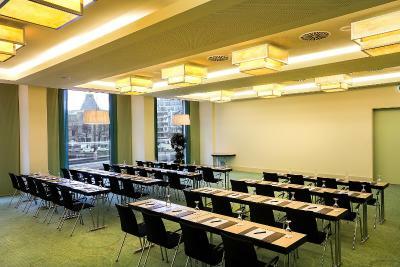 Spa facilities at the Meliá Berlin include a modern gym and sauna. Rental bicycles are provided on request. 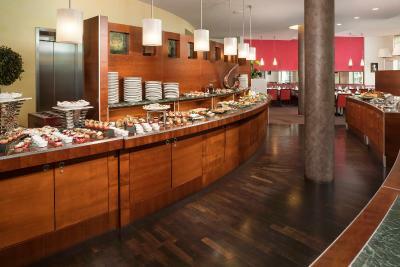 A rich buffet breakfast is offered each morning. 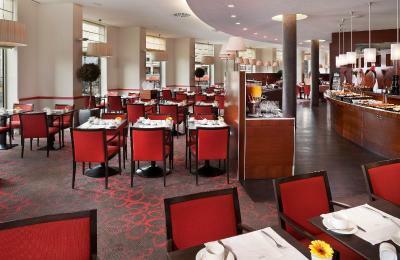 Guests can also sample Mediterranean specialties and tapas in the bar. 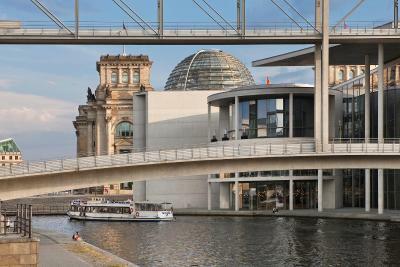 The Brandenburg Gate and many other famous sites are within 0.6 mi of the Meliá Berlin. 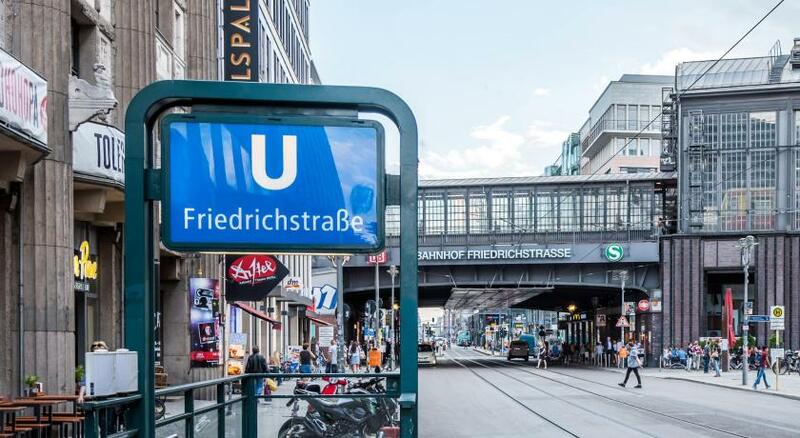 Friedrichstraße Train Station is just 350 feet away, providing great underground, city rail, and tram links to all parts of Berlin. 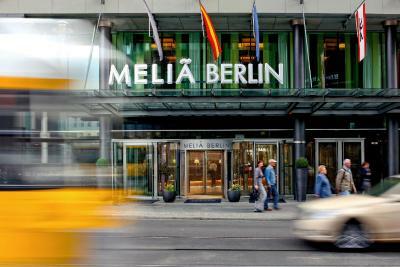 When would you like to stay at Meliá Berlin? 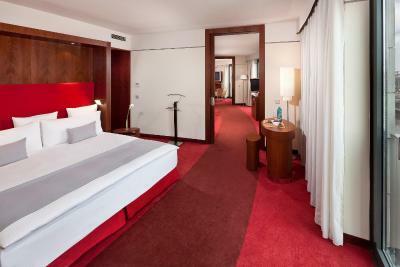 Warmly decorated room with a flat-screen TV, a seating area and a private bathroom with floor heating. Please note that an extra bed is available for for a fee. The spacious junior suites are elegantly decorated, featuring generous living/sleeping areas, tea/coffee making facilities, a flat-screen TV, a seating area and a private bathroom with floor heating, a bathrobe and slippers. Either a king bed or twin beds are available. The suites feature views of either the Spree River or Friedrichstrasse shopping street. 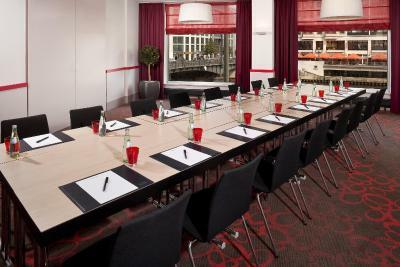 Also includes access to The Level Executive Club with free WiFi use, internet terminals as well as a late private check-out until 16:00 (on request and subject to availability). 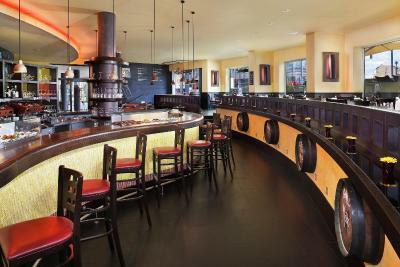 The guests can also enjoy drinks (including a choice of alcoholic drinks) and hot and cold snacks in the club. 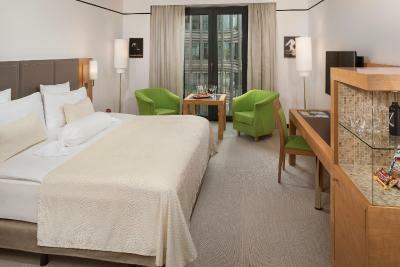 Spacious, elegantly furnished room. It includes a free breakfast, a flat-screen TV, a seating area and a private bathroom with floor heating, a bathrobe and slippers. 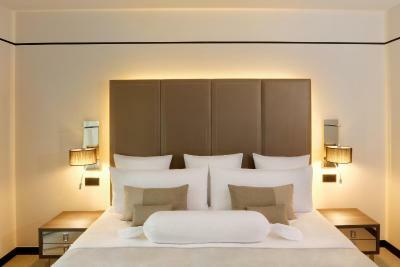 These double rooms include a complimentary bottle of mineral water each day. 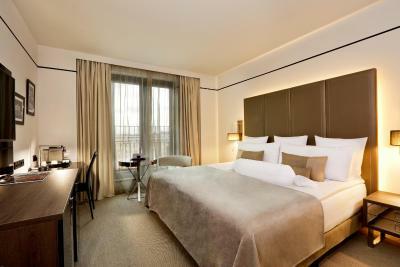 The suites consist of a separate bedroom and living room. 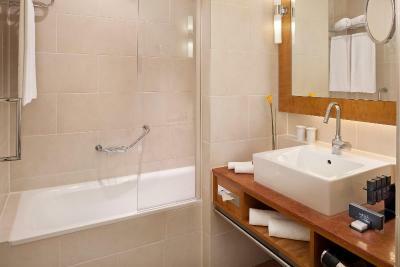 The private bathroom features exclusive amenities. Coffee & tea facilities as well as an ironing board are provided. 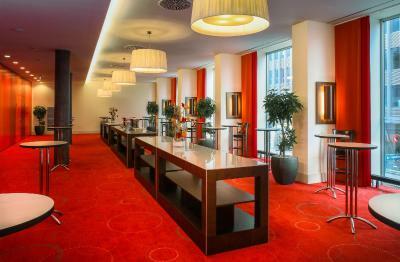 Also includes access to the Executive Lounge with a private Check-in and Lounge area. 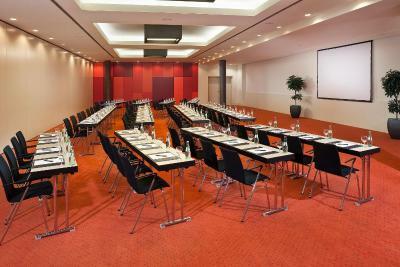 It consists of a separate living and bedroom, dressing area, a large bathroom, guest toilet and a conference room. 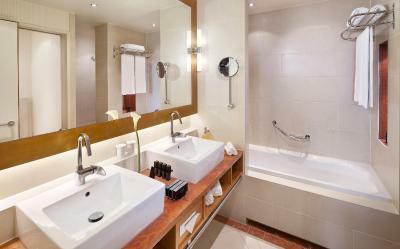 It also offers exclusive bathroom products, coffee & tea facilities and an ironing station. 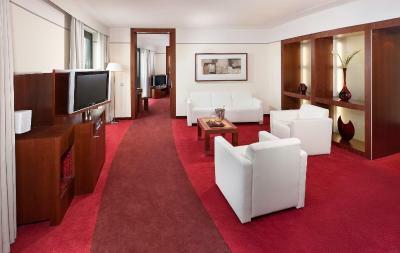 Also includes access to the Executive Club with separate reception and lounge areas. 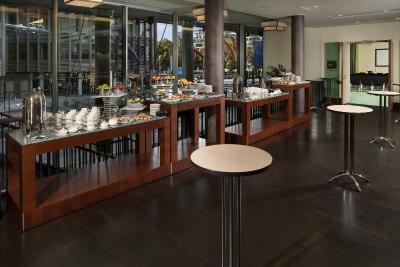 There, guests may enjoy an exquisite breakfast as well as drinks and snacks. This family room features a seating area, mini-bar and soundproofing. 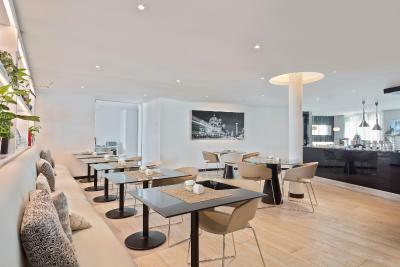 House Rules Meliá Berlin takes special requests – add in the next step! 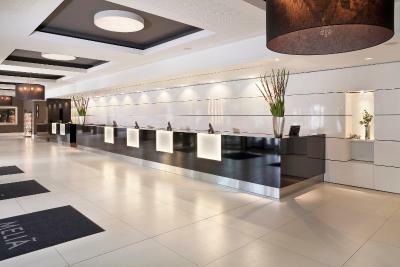 Meliá Berlin accepts these cards and reserves the right to temporarily hold an amount prior to arrival. 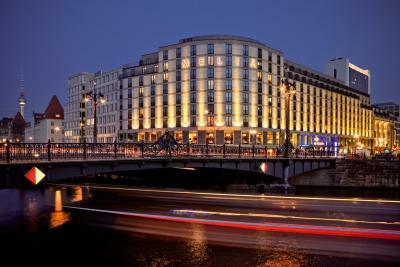 Please note that extra beds are available on request only, and need to be confirmed by the hotel. It’s great especially when we have a sauna room after one day intensive trip. The breakfast cafeteria was a bit messy, it’s hard to get a cup of hot water. The only problem we faced is we could not the extractor fan off in the bathroom. Other than that, it was brilliant. Brilliant location and a lovely setting. 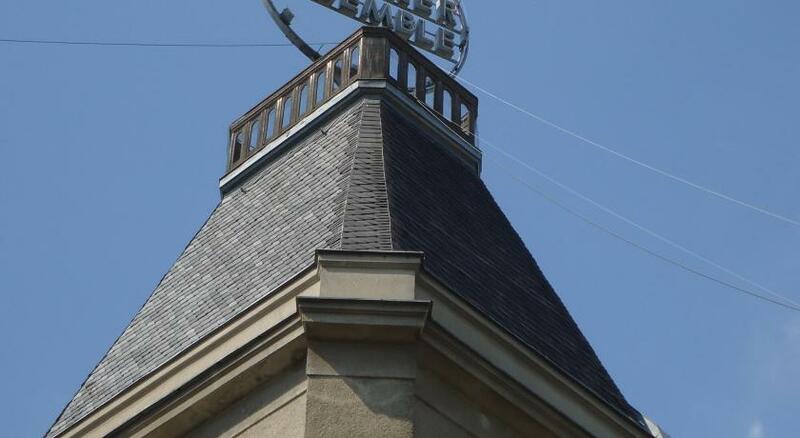 Very impressed with the staff who were always polite and efficient. Staff very friendly & helpful. Great location for doing the tourist bit. Room very comfortable. very slow rotating door at the entrance (if that would matter at all). 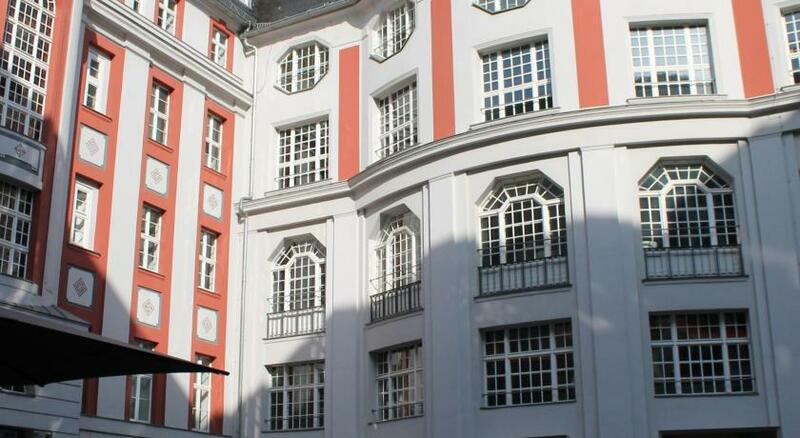 Such a lovely hotel and amazing location! All staff were so friendly and helpful would defo recommend staying here! Rather complacent. 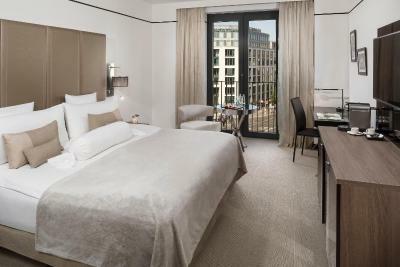 Emailed ahead for a river view, had a reply noting this and the need for a double room, yet we were given a twin room with no view, or a E50pppd upgrade for a double and view (oh with breakfast). Staff efficient, but not welcoming - only place in Berlin we found this. 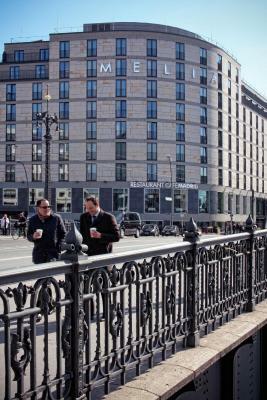 Overall you expect to pay this amount or more for a central capital city hotel, but small things and attitude would have made this much better. Great central position. Easy walk to most areas, or tube/station to all other areas. 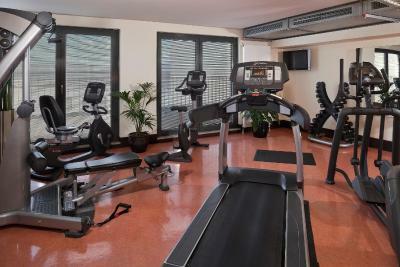 Great location, good nearby public transportation, overall very good place to stay for business or leisure.